Daniel studied International History and International Politics at the University of Sheffield and graduated with first class honours, having specialised in 20th Century decolonisation. He then completed his Graduate Diploma in Law in 2013 and completed the Legal Practice Course LLM at the University of Law in the summer of 2015, achieving a Distinction. Daniel joined Wilsons as a caseworker in December 2013 and has been part of our Immigration team since 2015. He qualified as a solicitor in July 2018. 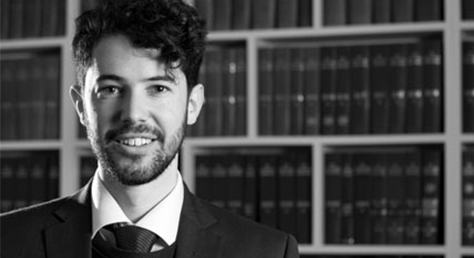 Daniel specialises in immigration, asylum and human rights law, advising legally aided and private clients. Daniel is an accredited senior level 2 caseworker and acts regularly for vulnerable clients, including those with severe mental health issues and victims of trafficking, human rights abuses and torture. Daniel has extensive experience in immigration-related initial applications and appeals, including in asylum, family reunion, Article 8 ECHR, entry clearance and third country cases. Daniel has represented residents of the Refugee Camps in France continues to represent unaccompanied asylum-seeking children and clients in detention and prison. He also has experience of civil claims and Judicial Review remedies. Before studying law, Daniel taught at the Amar Jyoti school in Delhi for disadvantaged people and whilst at University, led a project called ‘Clubbing Crew’ which accompanied young adults with disabilities to Student’s Union social events.